Join the Lowcountry Hall of Science and Math on February 6, 2016 at the Charleston STEM Festival. During the festival kick-off, children and families will view exhibits and participate in interactive demonstrations hosted by local industries, non-profits and educational institutions. In the two weeks following the event, our community supporters will be hosting a wide variety of events around town, including workshops, lectures, and open houses. The festival kick-off on Saturday, February 6, 2016 is a one-day (10am-3pm) interactive event at Brittlebank Park that will highlight the many STEM education initiatives in the area. For more information, check out http://charlestonstemfest.org/. Join us for the 7th annual STEM Education Day presented by the College of Charleston School of Science and Mathematics, Lowcountry Hall of Science and Math, and Lady Cougars Basketball team. 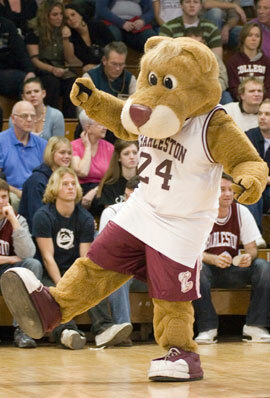 Experience hands-on activities and demonstrations related to science, technology, engineering and math by College of Charleston Faculty as well as local STEM organizations and then enjoy the Lady Cougars basketball game. What: STEM hands-on activities and demonstrations including (to name only a few) marine animal touch tanks, energy and light physics demos, earth and planetary science, sustainability in the classroom, robotics and computer science, flying paper airplane construction, dancing with Clyde the Cougar, and the list goes on! Deadline: Register by January 30, 2019 to ensure your space. You may download the STEM Education Day Flyer here.